Around this time of year, the basket weavers up around Orleans are gathering and cleaning willow root from the river exposed by the water's rise and fall. In March and April, they'll go for the willow sticks. In the summertime, there's bear grass and maidenhair fern. Each season, they'll gather only what they need to make their baskets for the year, and leave enough for the next year. And the next. 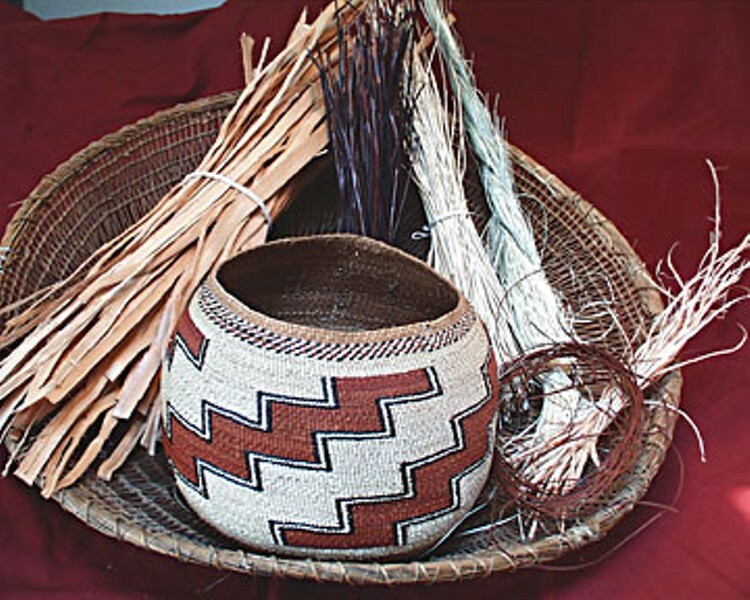 Renee Stauffer is a Karuk basket weaver. Her mother is a basket weaver. Her great-grandmother was a basket weaver. Her grandmother, however, was not a basket weaver -- at age 6 she was sent off to government school in Riverside, and the cultural continuum was broken; but even then, says Stauffer, her great-grandma sent baskets to Riverside for her daughter to sell to raise living expenses. Now another U.S. government intervention threatens to interrupt the Stauffers' basket weaving tradition, as well as similar traditions of other families: a new rule saying people who gather materials from ancestral lands to make baskets, sustain themselves, practice medicine and conduct ceremonies must get a permit to do so. However, a mad scramble during inauguration week by opponents to the new rule, including basket weaver advocate and local botanist Jen Kalt of McKinleyville, might just possibly have saved the day. The Sale and Disposal of Special Forest Products and Forest Botanical Products Final Rule is one of those "midnight rules" pushed through by the Bush Administration as it headed out the back door. The rule sets regulations on the harvest and sale of "special" forest products from National Forest Service lands, such as mushrooms, grasses and twigs, seeds and berries, cones, nuts and flowers. The rule was officially proposed in October 2007. The final rule was published in the Federal Register Dec. 29, 2008, and was supposed to take effect this Jan. 28. But opponents convinced Secretary of Agriculture Tom Vilsack to delay the final rule's implementation until March 30, giving the public until March 2 to comment on it. "In keeping with President Obama's recent pledge for a more transparent and inclusive government that works for the people, this extension will afford the public an opportunity to participate in the rulemaking process," Vilsack said in a Jan. 28 news release. "This rule is especially important to American Indians and Alaska Natives and we want to make sure that they, and other stakeholders, have an opportunity to have their voices heard." Vilsack likely was influenced by a letter he got Jan. 26 from Nick Rahall, chairman of the House of Representatives' Committee on Natural Resources, in which Rahall said he was concerned that the final rule "raises serious questions of law and Indian policy." Kalt, a resource protection associate for the California Indian Basket Weavers Association, says she doesn't know who contacted Rahall to get him to write that letter. She said a lot of people were rushing around trying to halt the rule's implementation. "It's all been kind of a blur," she says. "I've been e-mailing and calling people continuously for the past few weeks. When it came out that the Obama Administration was going to withdraw all of the midnight regulations, I got a copy of the memo from the White House that actually said that this regulation would sit in a category that would just be considered for withdrawal because it had already been published in the Federal Register. So it wasn't going to be automatically withdrawn. And so it was actually a real stroke of luck that I got a hold of the right people in D.C. the week of the inauguration, because everything was just in transition." She sent out action alerts to all the basket weaver associations and agency people and scientists she knew, and she called the Senate Committee on Indian Affairs, the USDA Office of Native American Programs and the Office of Tribal Relations for the Forest Service in D.C.
Kalt says the final rule is problematic on many levels. Whereas current policy requires commercial harvesters of such products to get permits, the new rule would require everyone to get permits -- and, in some cases, pay fees -- to gather even if it's for personal or traditional use. The only exemption would be for tribes with reserved treaty gathering rights, who could still collect for free and without permits; however, members of non-treaty tribes or tribes not federally recognized would have to comply with the new rule. But there are no treaty tribes in California because the treaties were never ratified by Congress, back in the 19th century, says Kalt. "So the tribes' view is that they in good faith negotiated treaties with the U.S. Government that were never ratified, and so to give an exemption to treaty tribes is a big slap in the face," she says. "But it's also illegal. It violates a lot of laws. There's the American Indian Religious Freedom Act, or AIRFA, that protects the rights of non-federally recognized tribes. And the basket weaving practices are part of ceremonial traditional religious practices, like the [Karuk's] Jump Dance and other ceremonial dances that use baskets. Basket weaving is part of the traditional cultural religious practices of the local tribes. CIBA's position is traditional practices should not be considered along with non-traditional or commercial uses." The rule also ignores the environmental justice executive order signed by Pres. Clinton, says Kalt, which requires that laws consider the issues facing low-income and minority people -- many people who rely on forest service land to harvest teas and basket weaving materials, for instance, are rural and quite often very low income. Also, each forest would have to set different levels of permitting requirements for every species of plant, and for varying uses -- from incidental use, which would not require a permit, to personal use, which would, to uses beyond that which might require both a fee and a permit. But until each forest made its criteria, everyone would need to get a permit, says Kalt. "Just think of the bureaucracy involved here, not to mention the fact that they don't have any real scientific basis to set those levels," Kalt says. Perhaps most frustrating of all, the rule would also override a number of statewide and local agreements tribes and federal agencies have hammered out over the years, including the Traditional Gathering Policy of 2007, which allows traditional gathering without permits on lands managed by the Forest Service and the Bureau of Land Management in California. Likewise, an agreement between local tribes and the Six Rivers National Forest that allows tribal members to collect mushrooms for personal use would be trumped by this national rule. For the Karuk Tribe, the rule is particularly disruptive. It has no reservation, and 95 percent of its ancestral land is managed by the Forest Service. 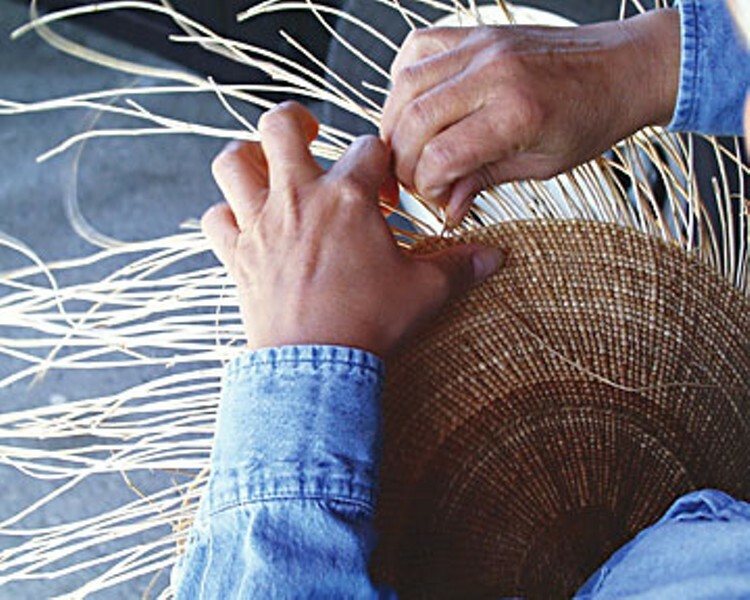 "There are a lot of things that the Forest Service and the tribes worked on, and we came up with these agreements and MOUs to try to make it work for both sides," says Stauffer, the Karuk basket weaver in Orleans. "And then with this new policy coming in, it just sort of shoots all of that right out the window." Stauffer figures if the new rule passes, the local forest service agents will, for lack of resources to enforce it, probably just ignore it. "I know we'll ignore it," she says, laughing. "And you know, it'll just turn a bunch of innocent basket weavers into criminals. It's not going to stop people from gathering. Baskets are just a part of our lives. I mean, we start out as infants in a basket. Even though we have all of the modern implements today, we still use baskets. We use them in our ceremonies, and we use them a lot of times in our everyday lives." Kalt says the rule-makers probably didn't set out originally to offend traditional gatherers. It was likely an attempt to reap some benefit from the burgeoning commercial harvest in Oregon and Washington of moss and other greenery used in the floral industry. At the time, local forest managers had to issue permits and collect fees for commercial harvests, but the money went to headquarters in D.C. "So they wanted to better regulate the commercial harvesting, and so make a rule that the receipts from the fees stay on the forest where the harvesting is done," she says. In the process, Kalt suspects, the Bush Administration got greedy and decided to make it so that everyone, even personal users, would have to get permits and maybe pay fees. Now it's up to the Obama Administration to correct it, she says. "Obama was, from what I've been told, the first presidential candidate who really campaigned in Indian Country," she says. "If the Obama Administration doesn't realize what a bad note [the rule] would be to start off with tribal relations, that's going to be a big problem for them."